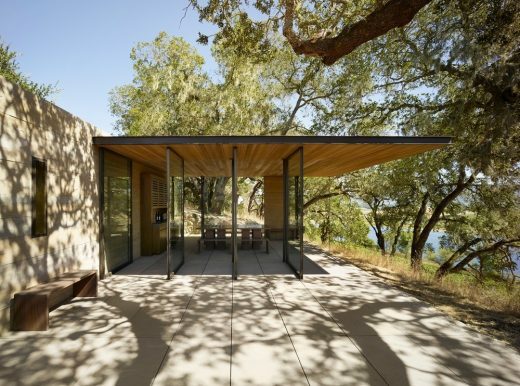 Walker Warner Architects has been awarded a coveted Citation Award from the American Institute of Architects San Francisco (AIA SF) chapter for the newly completed Quintessa Pavilions in Napa Valley, Calif. The firm designed the original Quintessa Estate Winery in 2003. Walker Warner Architects’ portfolio of estate projects and custom residences in the Western United States and Hawaii showcases simple elegance and sensitivity to the environment. 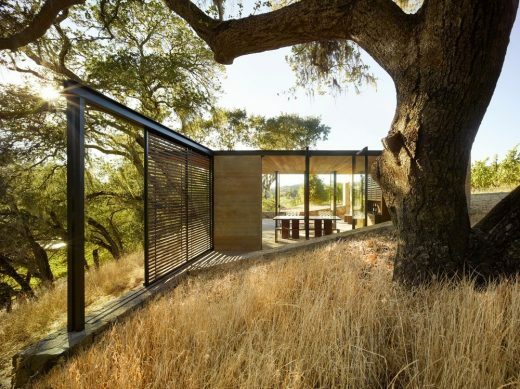 Situated on a ridgeline within the breathtaking 280-acre Quintessa Estate in Napa Valley, the Quintessa Pavilions exemplify the ideal fusion of architecture and nature. 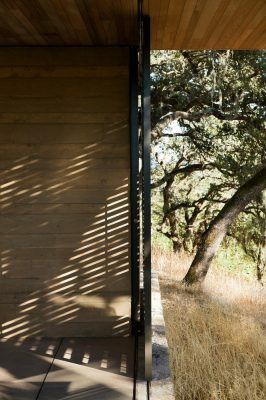 Carefully sited amongst existing oak trees, each pavilion was built with environmental sensitivity in mind. The overall design echoes the existing winery with an industrial material palette that ages and weathers elegantly. 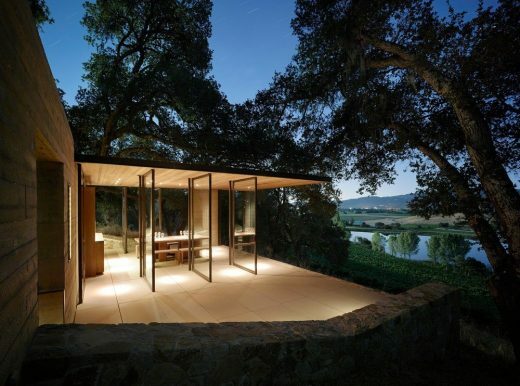 The pavilions are a series of independent 250-square-foot structures, each designed to provide an immersive, privately hosted wine-tasting experience in the landscape. 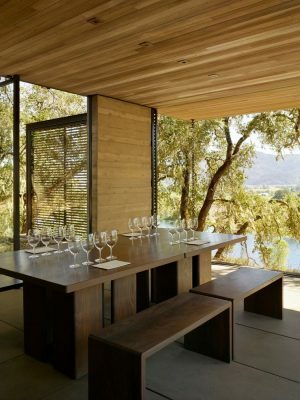 As modest additions to an established 280-acre winery estate in Napa Valley, each pavilion reflects Quintessa’s desire for architecture that will harmonize with the natural surroundings of the property. Accordingly, each pavilion is carefully sited to protect visitors from the elements while also preserving the existing mature oak trees. The result is a unique wine-tasting experience that can be utilized year-round despite weather conditions. The design of the pavilions echoes the existing winery in its environmental sensitivity and material palette of durable, sustainable materials that age and weather well. 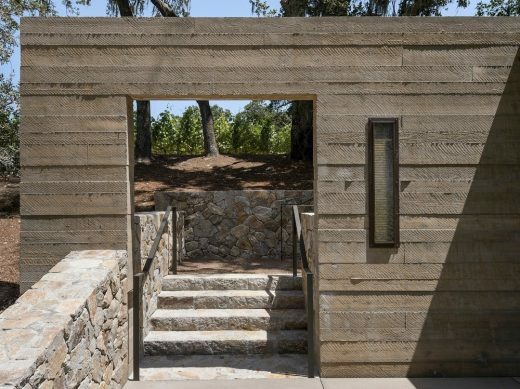 Running parallel to the ridgeline, a bold blade-like concrete wall made with fly ash forms the pavilion entry where a doorway is carved out to reveal the panoramic view from the terrace to the vineyards beyond. 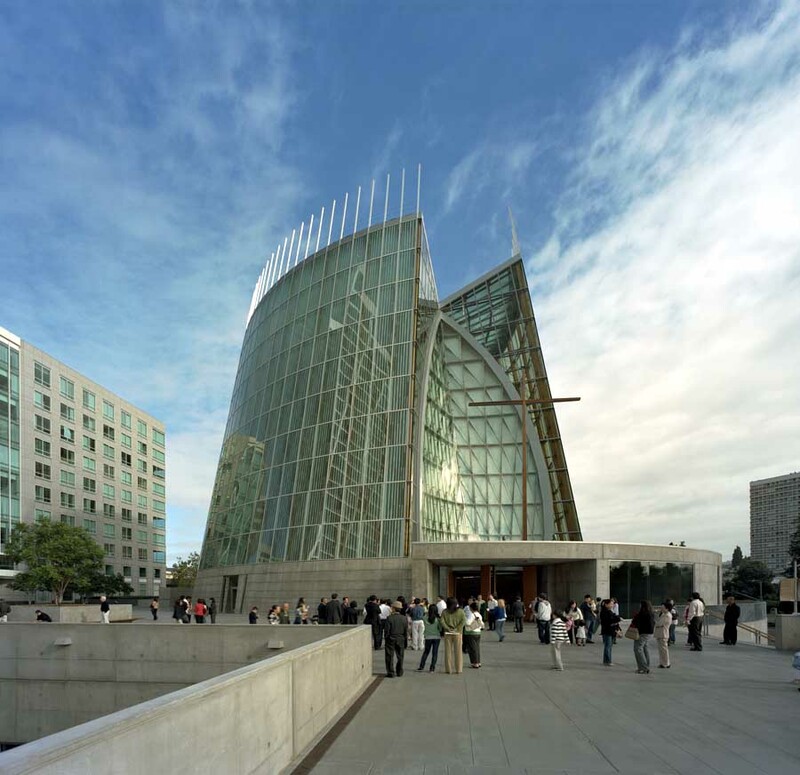 The prefabricated steel structure creates long roof overhangs that protect visitors from the elements while expansive walls of operable doors help to maximize the openness for light, views and cross ventilation. The low retaining walls are made of Napa syar stone and the terrace surface is made of locally prefabricated concrete pavers. Casework and ceilings are made of reclaimed Sinker cypress chosen for its durability and warmth. Custom furnishings made from FSC Certified Afromosia are designed to accommodate a range of group sizes. The surrounding plantings are drought resistant native grasses intended to soften the transition from the pavilions to the vineyards. 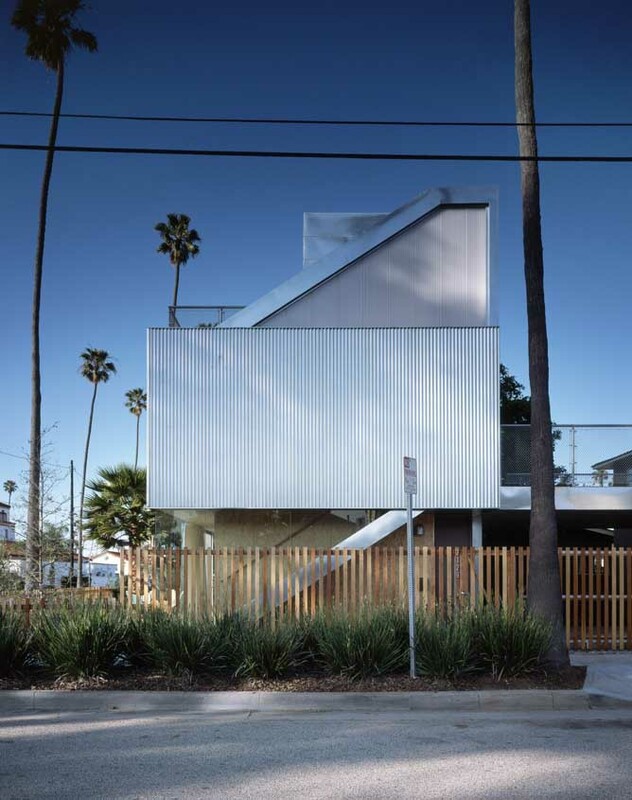 Walker Warner Architects creates enduring architecture for inspired living. Their work is informed, from concept to completion, by the highest levels of quality, integrity and craftsmanship. The firm partners with leading landscape architects, interior designers, builders and craftspeople to design with continuity, precision and unparalleled sophistication and beauty. Founded on unspoiled and never before cultivated land, the 280-acre estate winery includes 100 acres of preserved, natural woodland. Quintessa Estate is part of the Huneeus family’s portfolio of highly respected wine estates and is representative of the family’s belief that great wine estates are created in generations. 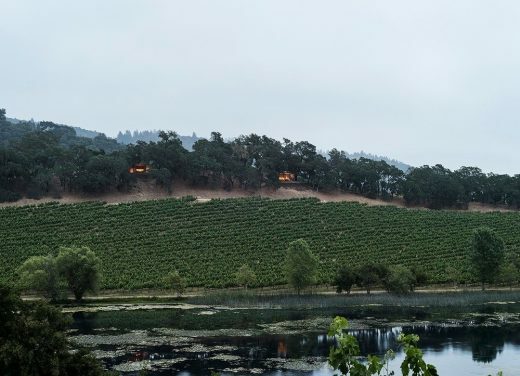 Today, this extraordinary estate reflects the family’s vision as the quintessential Napa Valley vineyard, producing one of the finest wines in the world. 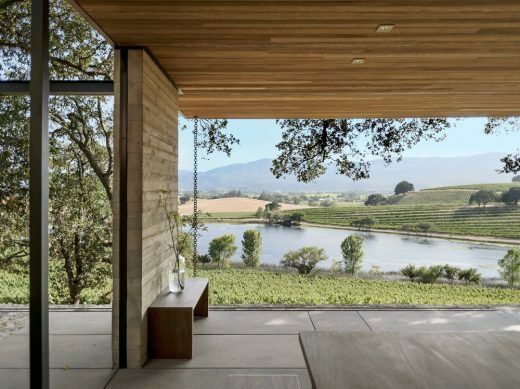 Designed by Walker Warner Architects, Quintessa Estate was one of over 30 wineries from around the world featured in the San Francisco Museum of Art exhibit, How Wine Became Modern, on the evolution of winery design.